Traditionally, most jewelry has always been made out of some type of metal: silver, gold, bronze or copper. Mining for precious metals and gemstones often causes environmental damage, ranging from water pollution to greenhouse gas emissions to soil erosion. Today, however, those looking to decorate themselves with shiny baubles have a new option — eco-friendly, 3D-printed jewelry. 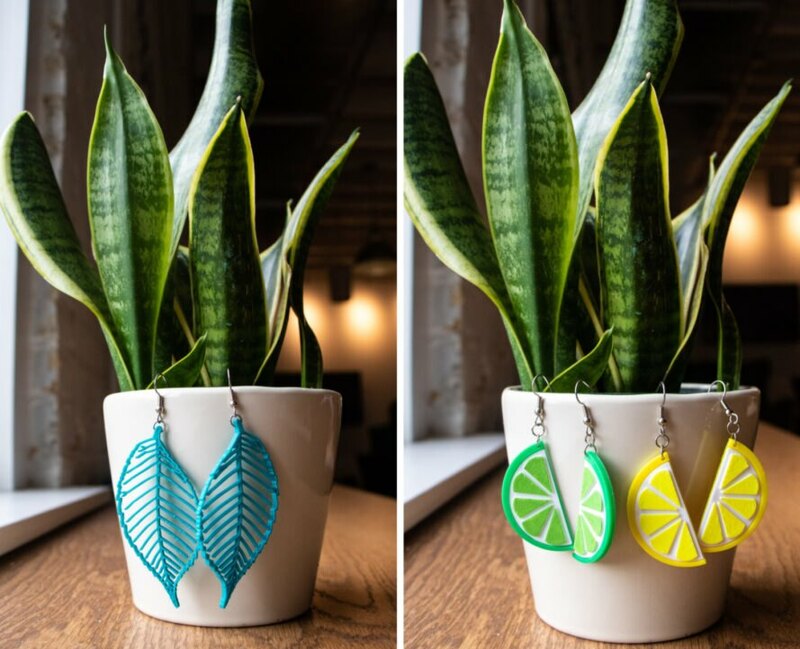 Based in Somerville, Massachusetts, Winter Hill Jewelry is an innovative, family-run company that makes beautiful and affordable 3D-printed earrings and necklaces out of plant-based plastic. 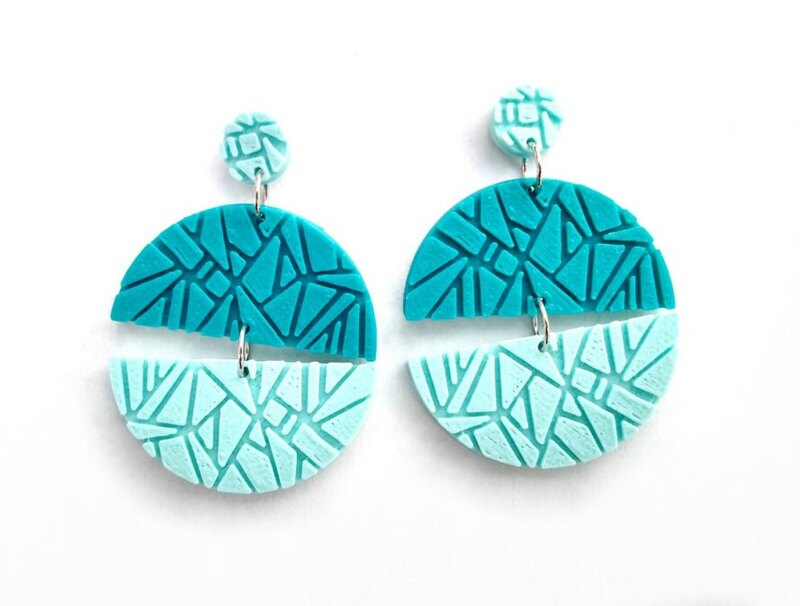 Winter Hill Jewelry is the brainchild of Vanessa Templeman, a mother of two who started experimenting with her family’s 3D printer at home. The printer had been used to print toys for the kids, but soon Templeman decided to do something a bit more creative. After initially drawing and designing her pieces by hand, she then updated to Tinkercard to help streamline the process, which ends with beautiful 3D models of her designs. 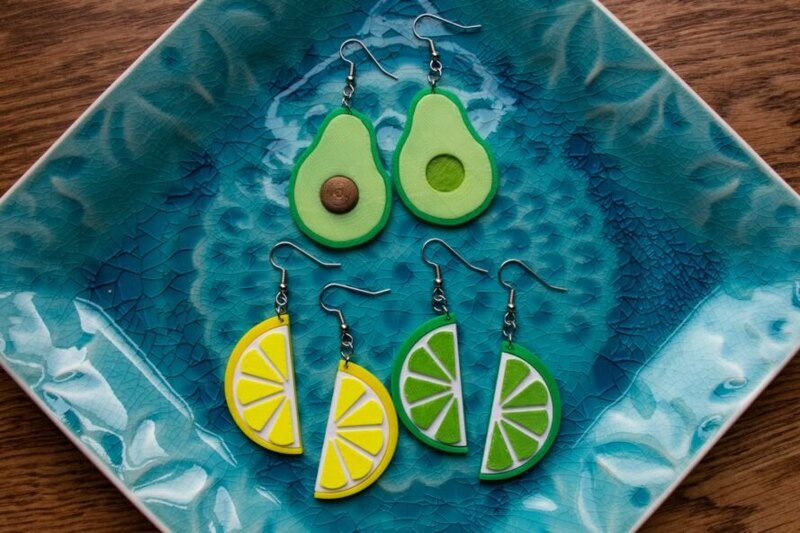 According to Templeman, the 3D printing process not only allows her to create and manufacture her own designs, but has also opened up a niche in the jewelry market for eco-friendly designs. Focused on having minimal environment impact, the company uses a full-cycle system that is set up to reduce waste throughout the manufacturing process. Instead of using regular plastic that is made from fossil fuels, for example, they use PLA, a plant-based plastic that is compostable. While they try to reduce waste as much as possible, any remnants left over from the production process can be easily recycled. Additionally, the Flash Forge Creator Pro 3D printers used by Winter Hill Jewelry are fully powered by solar-generated energy. 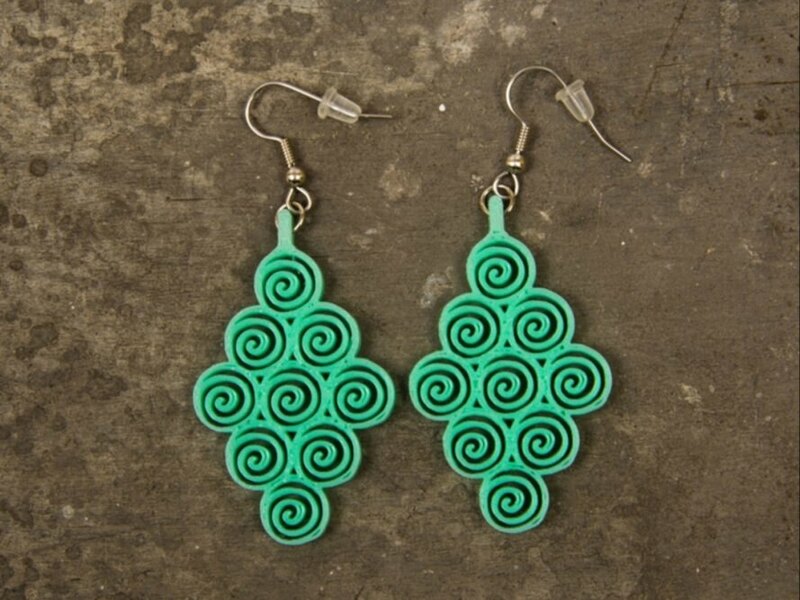 Once the jewelry is printed, they are displayed on cards made out of 100 percent recycled paper and shipped in biodegradable bubble wrap. As an additional way to use its product for good, the company has a special collection that includes a “Cuterus” line of pins and earrings. Portions from the sale of these items are donated to the Beth Israel Deaconess Medical Center OB. 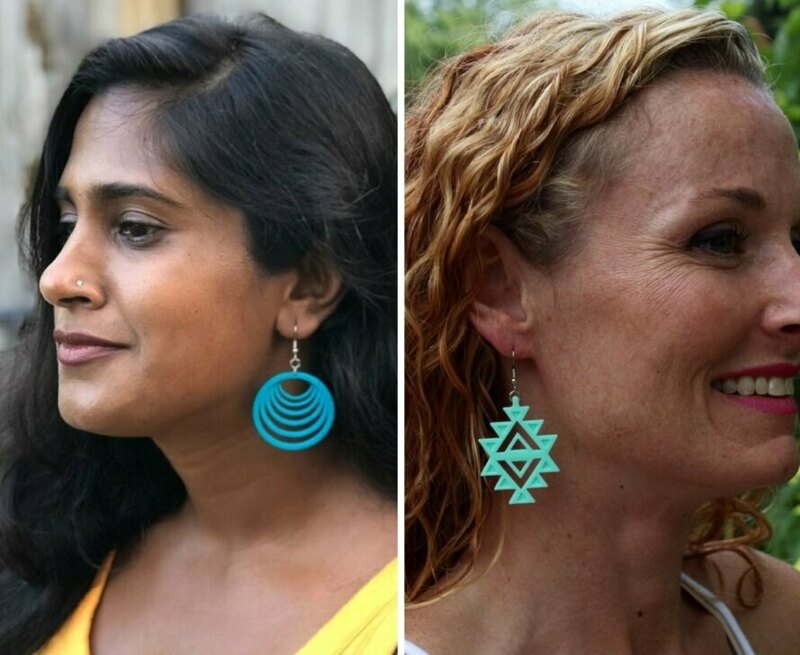 Winter Hill Jewelry is an unique family business making beautiful and affordable 3D-printed earrings and necklaces out of plant-based plastic. Winter Hill Jewelry is the brainchild of Vanessa Templeman. The Winter Hill catalog is filled with colorful 3D-printed pieces. The jewelry line consists of eco-friendly pieces printed on a 3D printer. The designs are handmade by Vanessa Templeman before creating the 3D molds. 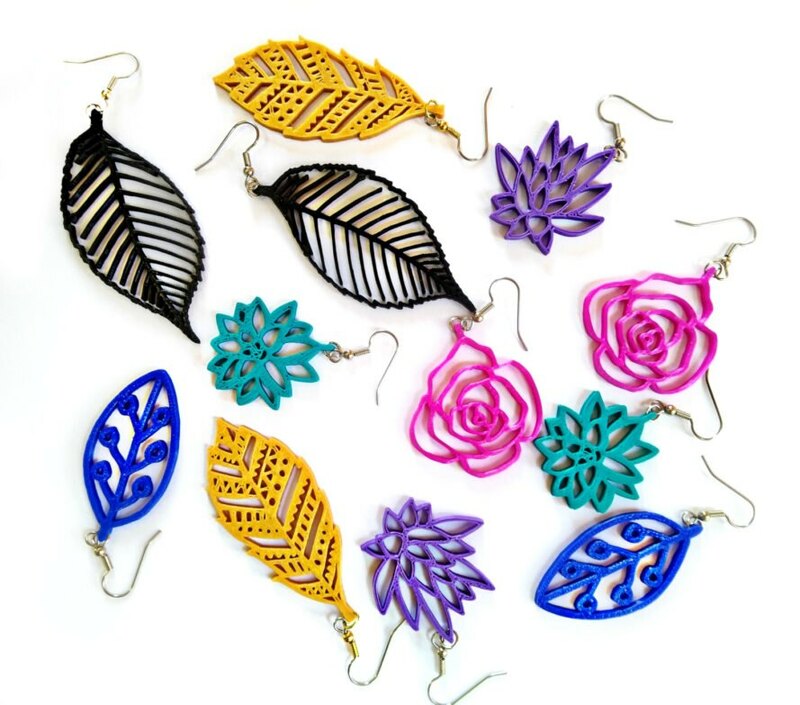 The company uses PLA plastic to create its line of jewelry. The collection includes beautiful two-tone pendant earrings and matching necklaces. The accessories are lightweight and colorful. Portions of the sales are donated to charity.